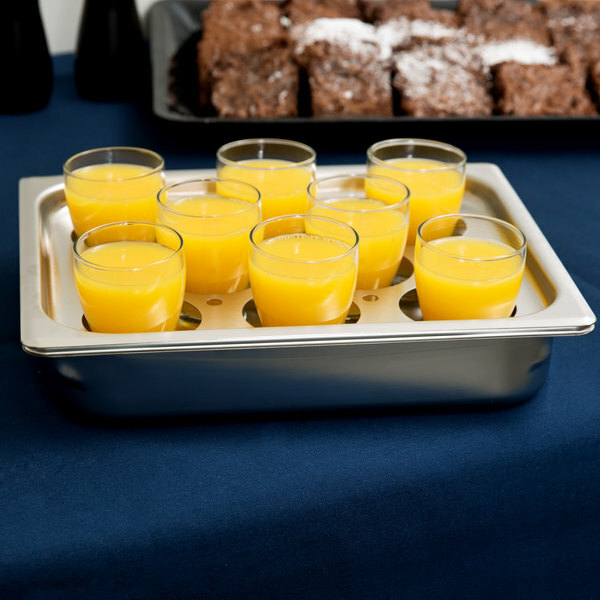 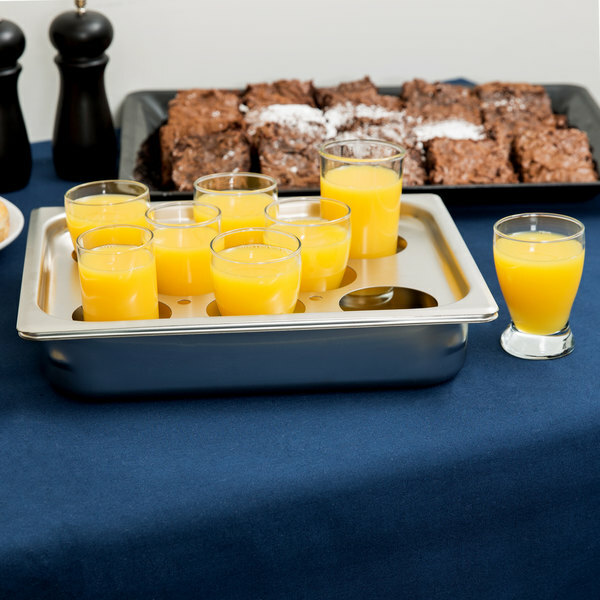 Ideal for high-volume establishments, this Vollrath 75060 half size stainless steel 8 cup egg poacher / juice glass holder complete set is just what you need to make perfectly poached eggs or store juice glasses at your restaurant or buffet. 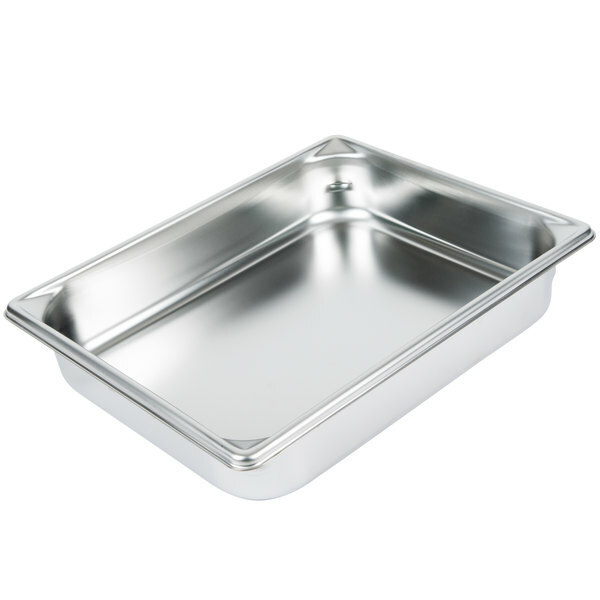 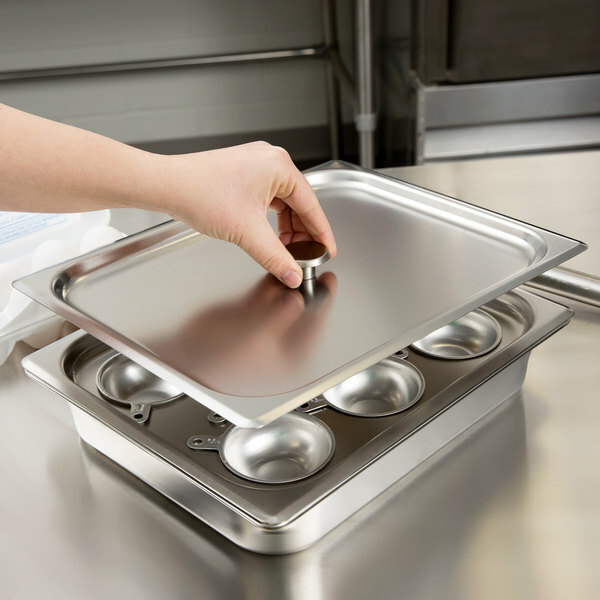 Made of 22-gauge stainless steel, the pan, plate, and cover are durable enough to withstand daily use in a commercial kitchen. 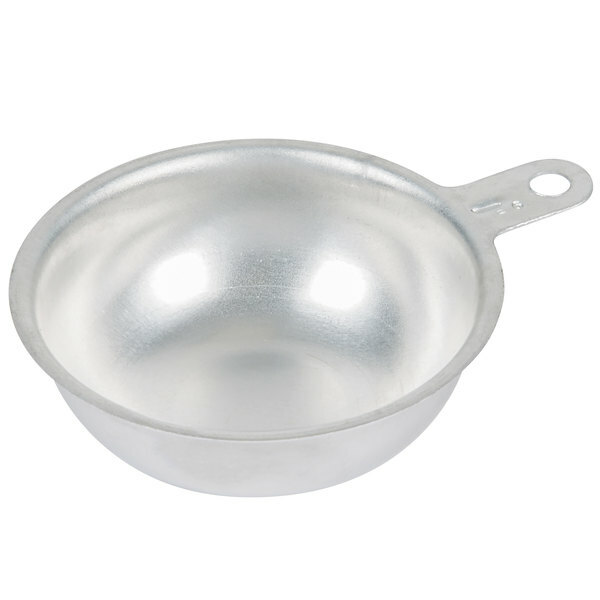 Meanwhile, the poaching cups are made of aluminum, allowing them to both heat up and cool down quickly. 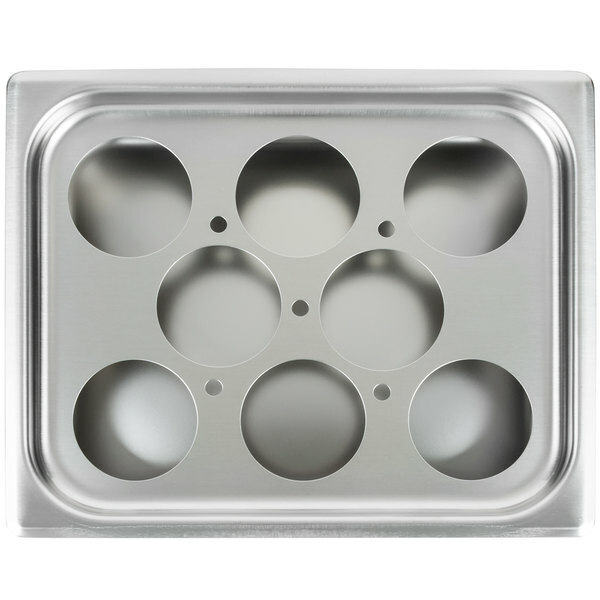 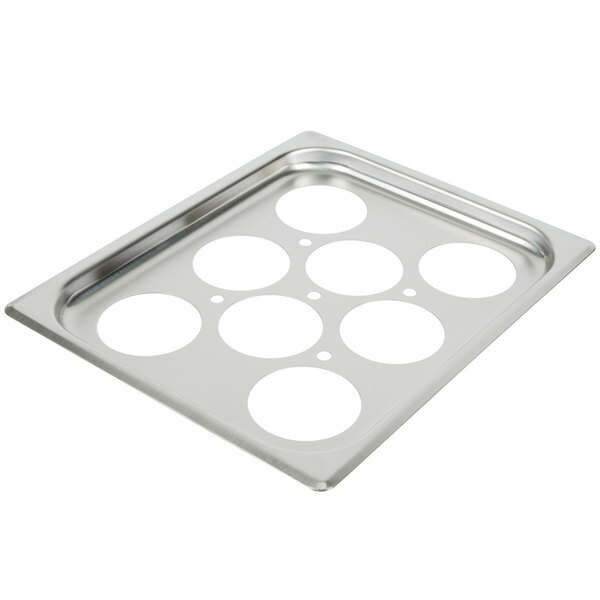 This egg poacher / juice glass handling set's plate features small holes for proper ventilation, while the 10" x 12" pan leaves enough room for a water reservoir while cooking. 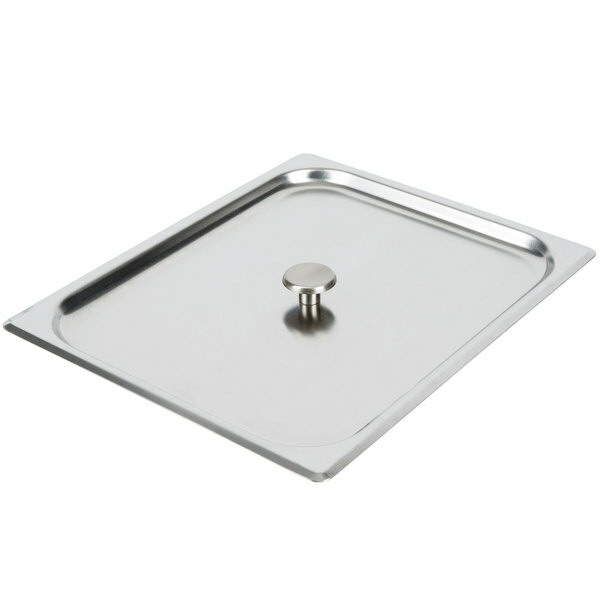 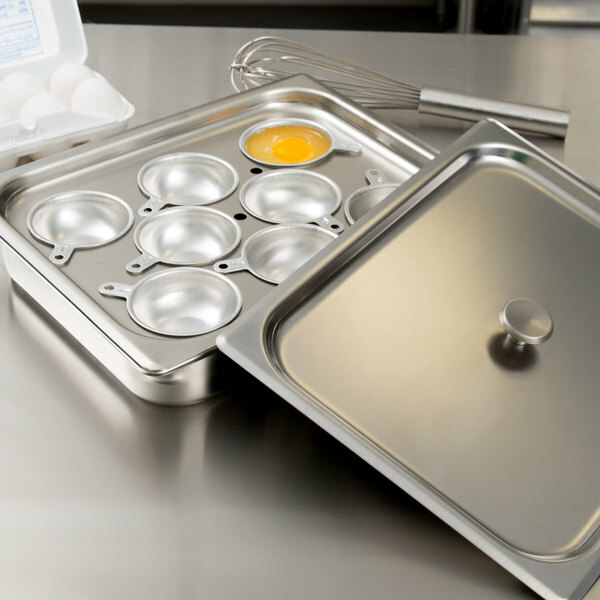 Additionally, the half size flat cover with knob ensures your eggs poach quickly every time. 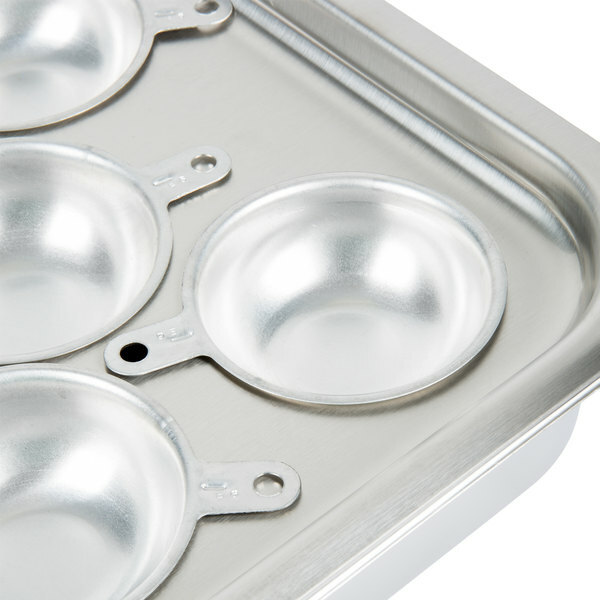 Each poaching cup can make a single poached egg in just 2 to 4 minutes. 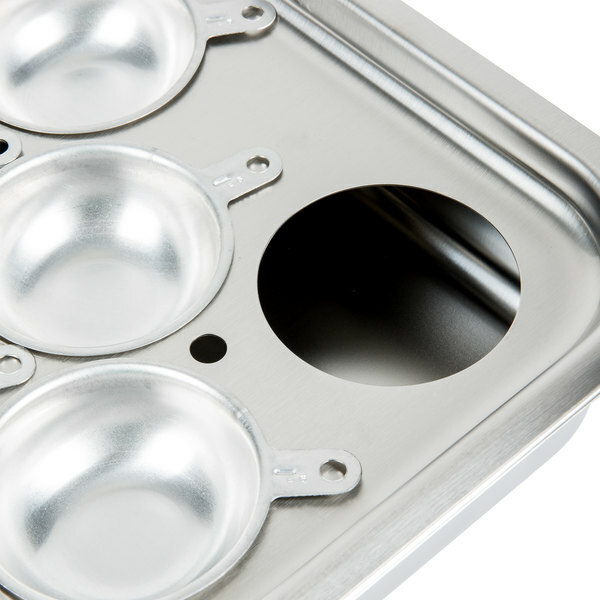 These cups boast a convenient handle for easy maneuvering, along with a small hole to hang in your kitchen when not in use. 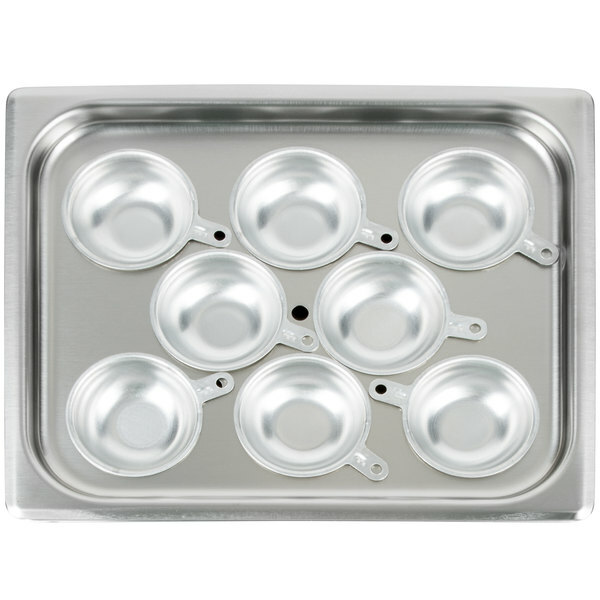 We poach a lot of eggs and this pan is indispensable. 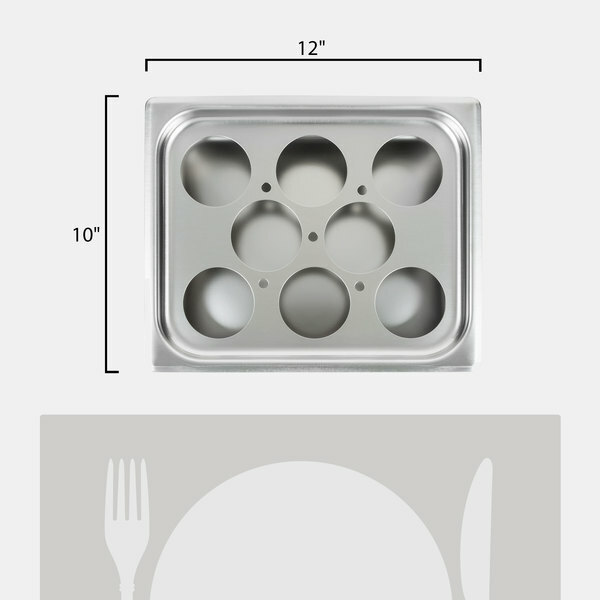 If you need a poacher buy this kit. 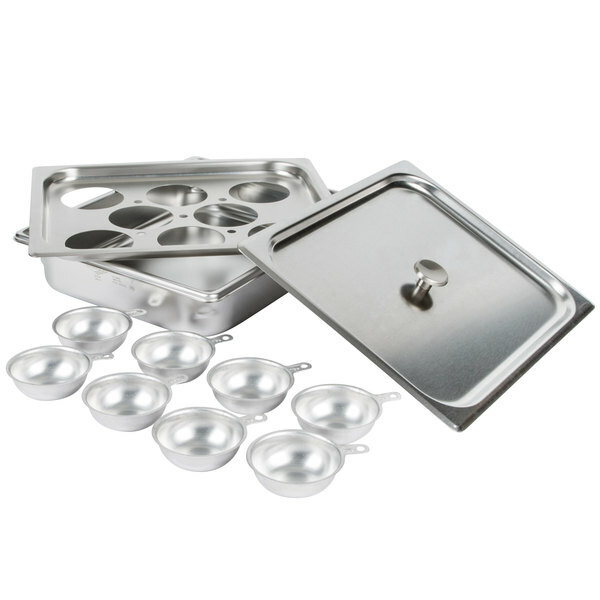 Don't try to buy the inserts individually, you need the lid and it is not available apart from the kit.